See all your appointment info in one place. 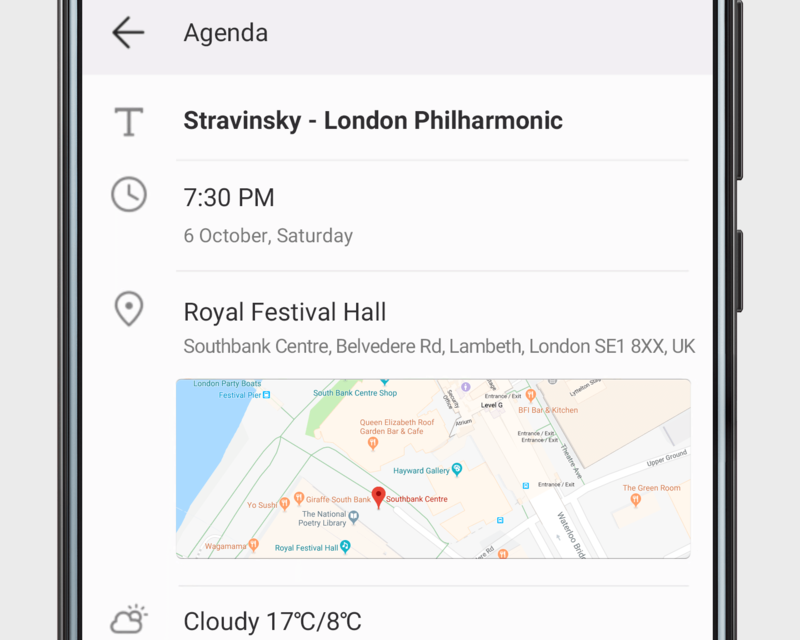 Open Calendar, and choose an event to view a host of related info, like time, place, weather forecast, and more. Need to get there? Just touch the map once to launch navigation.